A selection of pictures from the camera of Ian Knight. 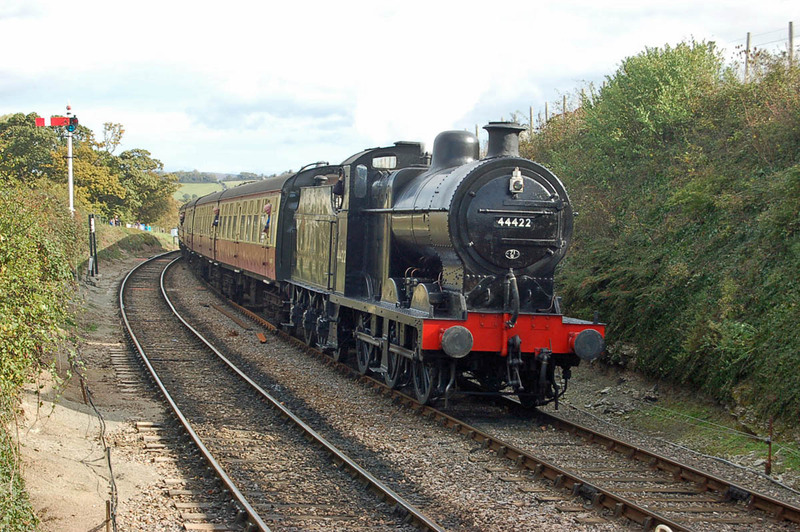 4MT 75014 (BR Swindon, December 1951), guest visitor from the Dartmouth Steam Railway, arriving st Stogumber. 4F 44422 (LMS Derby, October 1927) arriving at Blue Anchor. 7820 Dinmore Mamor (BR Swindon, November 1950) arriving at Watchet. S&DJR 7F 53809 (Robert Stephenson and Sons, Darlington, July 1925) at Watchet. S&DJR 7F 53808 (Robert Stephenson and Sons, Darlington, July 1925) at Watchet. My second, and still most recent, visit to the Moors Line. A limited number of photos were taken given the student finances (indeed post-student, as we had wrapped up the previous day), but some liberty was taken given the number of loco types, both steam and diesel, which I had not seen before. 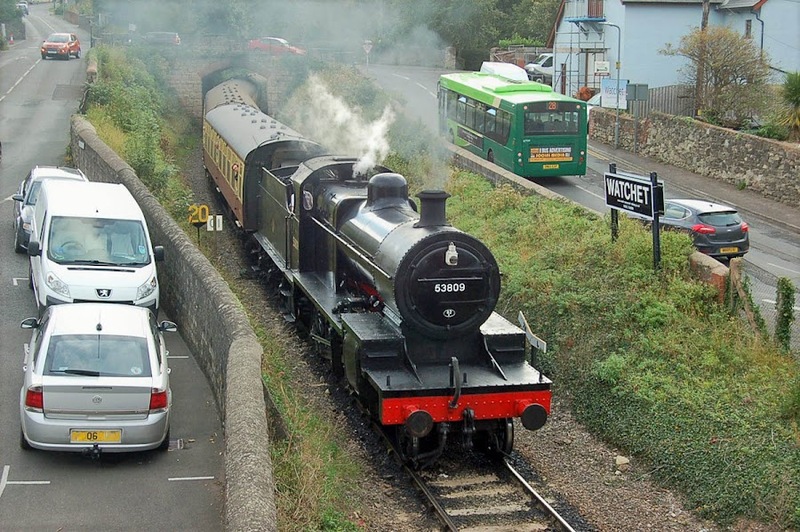 The line was already noted for a liberal attitude towards the usage of diesel traction. D5032 Helen Turner awaits the off at Grosmont, soon after our arival. New in July 1959 from BR Crewe, stored in May 1976, and withdrawn that July, after which it was hired from TJ Thomson's Stockton scrapyard to the railway from 21st August in the long hot summer of that year. 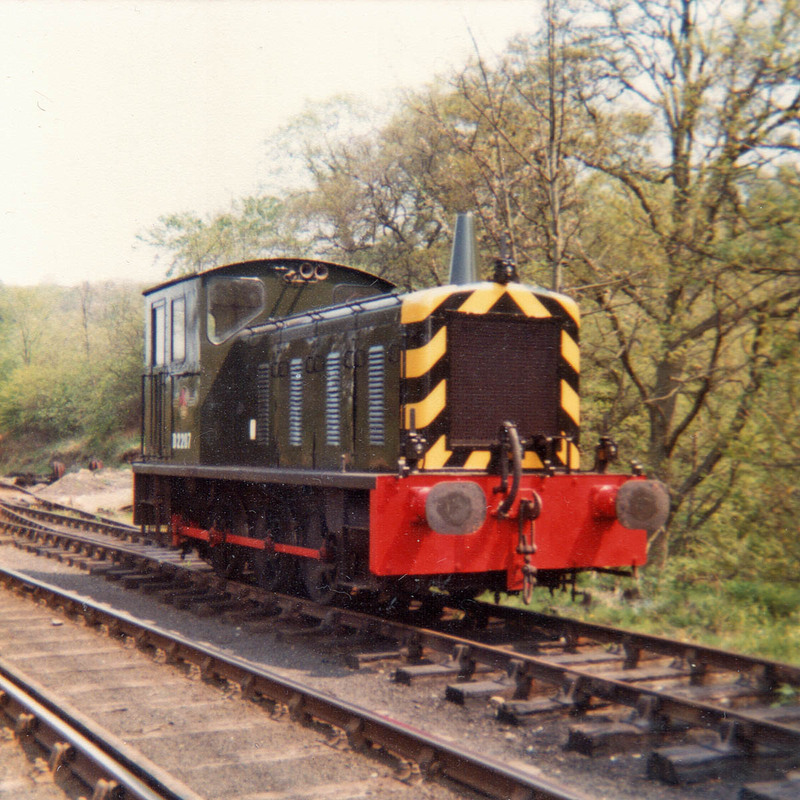 Repainted in this scheme in April 1977. 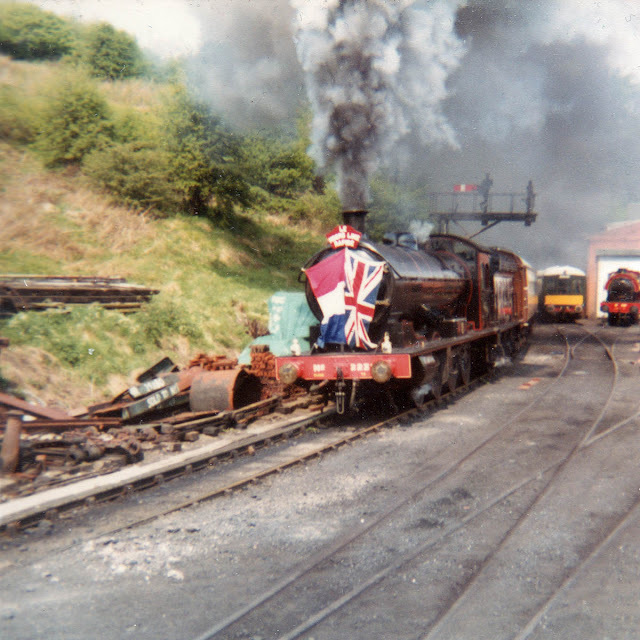 Currently under overhaul at Grosmont. Images while working in preservation. NER 'T2' 2238 (later LNER 'Q6' 3395 and BR 63395) is an 0-8-0 locomotive completed at Darlington in December 1918, and allocated to Blaydon. Withdrawn from BR service on 9th September 1967 from Sunderland. Under the care of NELPG since 1st April 1968, following storage at Tyne Dock. 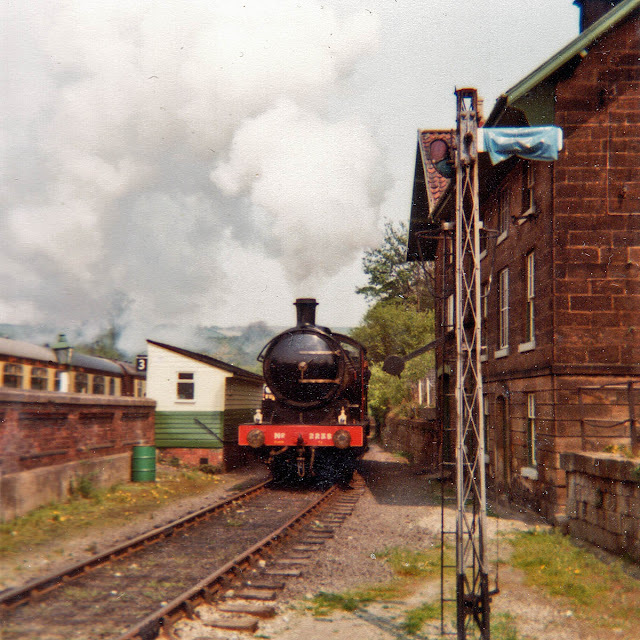 Here seen running around at Grosmont, in a view now blocked by the more recent construction of a signal box. The dining train it would haul is on the left, a Metro-Cammell Pullman being visible, this all being too grand for a group of students, who would have to wait for another train. 4 coach Gloucester RCW Class 100 unit descends into Grosmont. After service on the NYMR, these went to the Swanage Railway briefly in 1985, and then to the West Somerset. The locomotives in the distance are 3180 Antwerp (WD 75130), now at Hope Farm, Sellindge; and Lambton No. 29. 63395 climbs past the loco shed at Grosmont with "Le Moors Line Rapide" dining train. 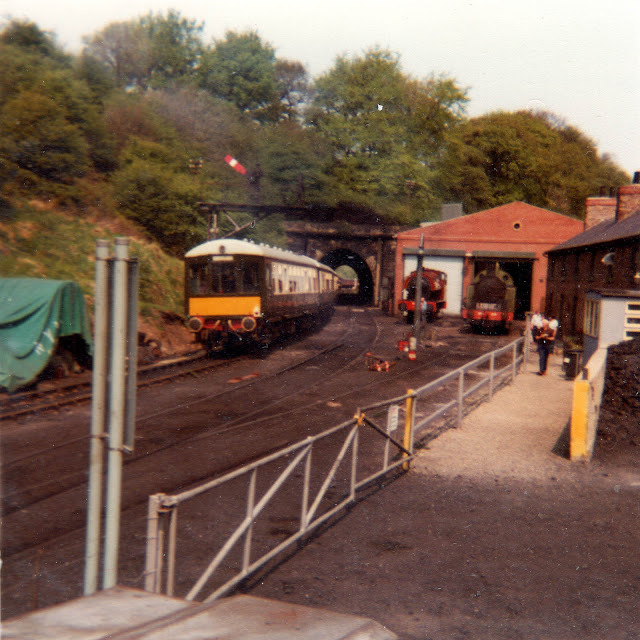 The locomotive was withdrawn from NYMR use later in 1982, and stored until overhauled and returned to traffic in 2007, recently being withdrawn again for a further overhaul. D821 Greyhound, built by BR Swindon in May 1960 and withdrawn in December 1972, being preserved by the Diesel Traction Group. After an overhaul at Swindon between 1977 and 1981, the locomotive was based at the NYMR from 1981 - 1991. 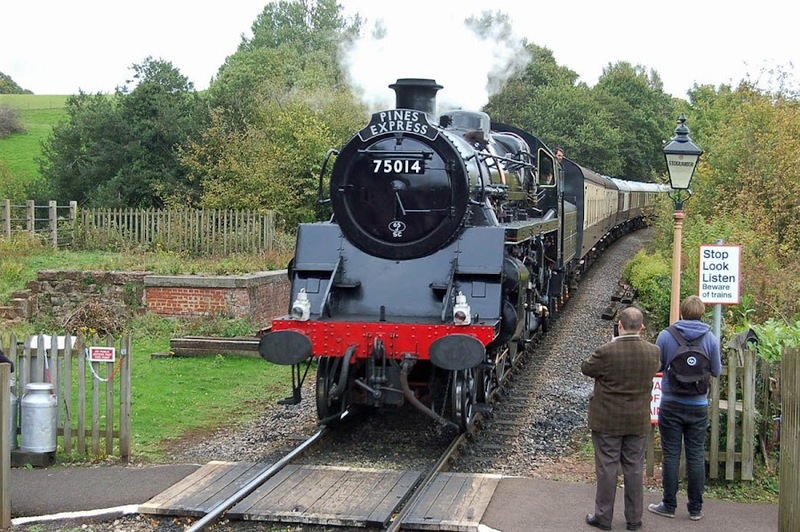 Now located at the Severn Valley Railway. 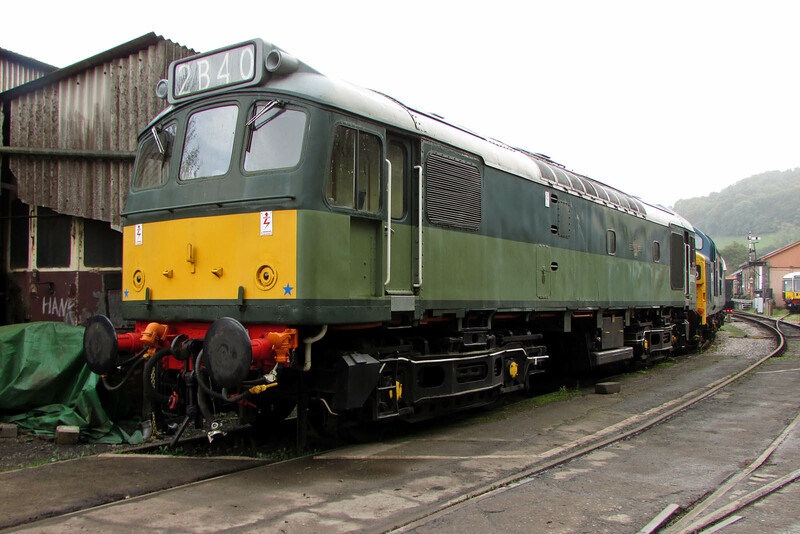 Class 04 D2207 was new as 11108 in February 1953 from Vulcan Foundry to the Drewry Car Co. design, first allocated to 30F Parkeston Quay. Sent to Crewe Works from Newton Heath in September 1966, and withdrawn in December 1967. Worked in industry from 1968 to 1973, then to the NYMR. Currently under overhaul with a new Gardner engine being sourced. D9529 was new from BR Swindon in January 1965, allocated to Cardiff Canton. 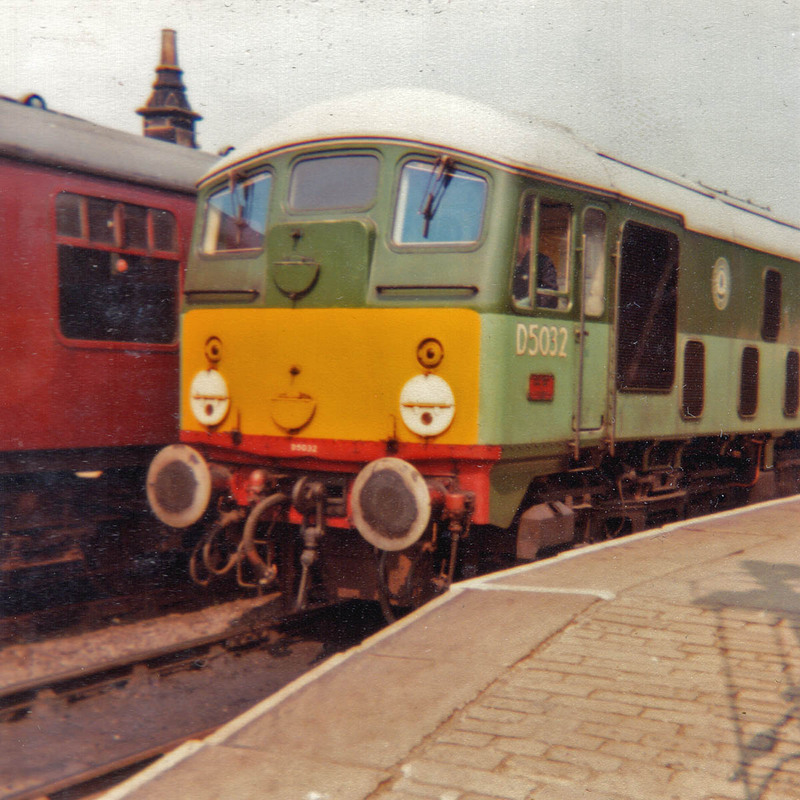 The WR, not knowing what to do with the locomotives in the wake of the Beeching Axe, sent this one to Hull on the ER in May 1967, but it was quickly stored that month, and was withdrawn in April 1968. It went into industrial use with Stewart & Lloyds Minerals, firstly in Lincolnshire. Ownership changed to the nationalised British Steel, and the loco was moved to the Corby area. 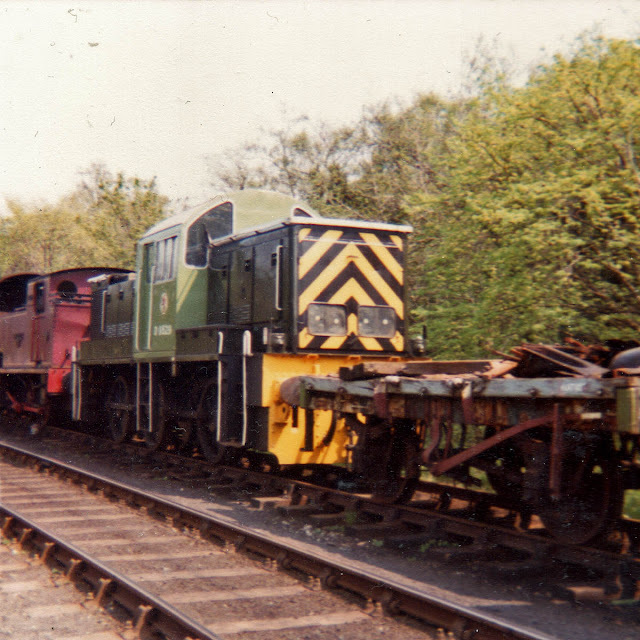 With a reduction in activity at Corby, this locomotive and D9520 were moved to the NYMR by rail in March 1981. After several further moves it went back to work on the Channel Tunnel Rail Link Now owned by the Iron and Steel Traction Group, located at the Nene Valley Railway. 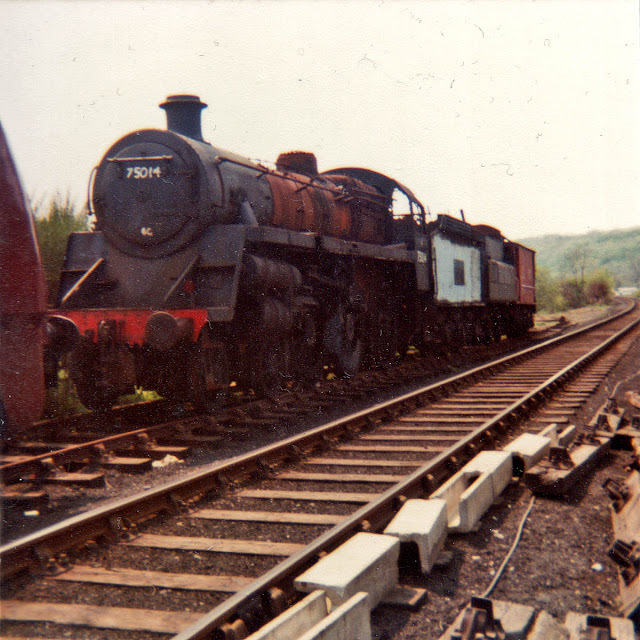 BR 4MT 4-6-0 75014 was completed at BR Swindon in November 1951, and was withdrawn in December 1966 from Shrewsbury, going to Barry scrapyard. 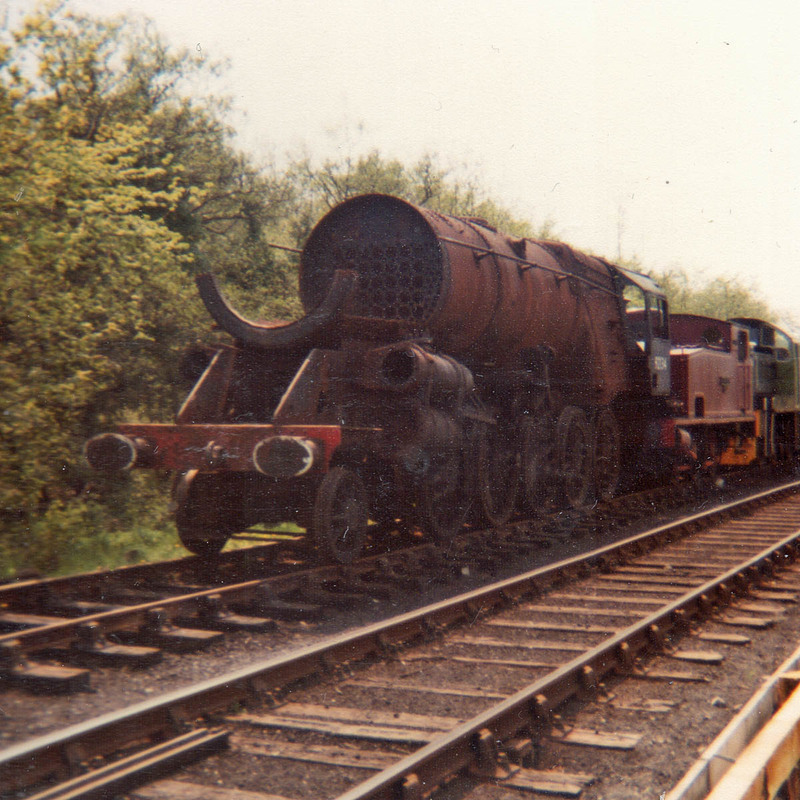 Removed from the scrapyard in 1981 and restored to mainline use in 1994, following sale in 2002, it now works at the Dartmouth Steam Railway as BRAVEHEART, being overhauled between 2005 and 2017. 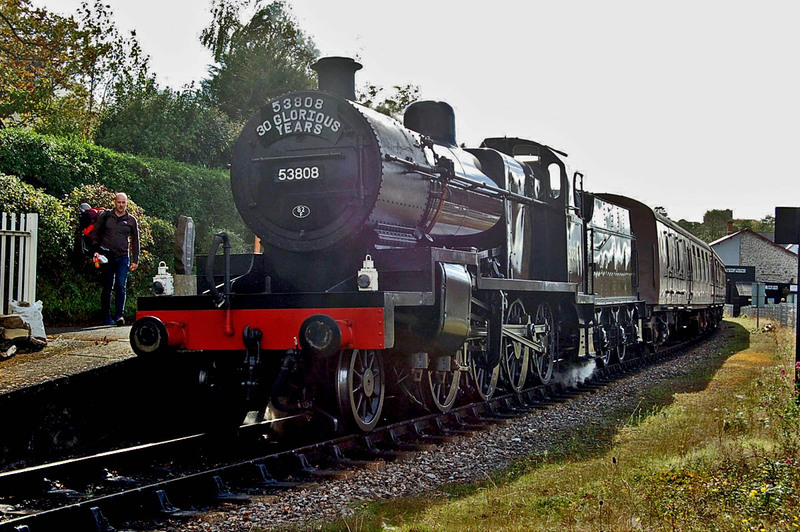 A NER B16 tender is stored between the locomotive and a more suitable BR tender. BR 9F 92134 was completed at BR Crewe in June 1957 and withdrawn in December 1966 from Birkenhead, also sent to Barry scrapyard, from where it was removed in December 1980. 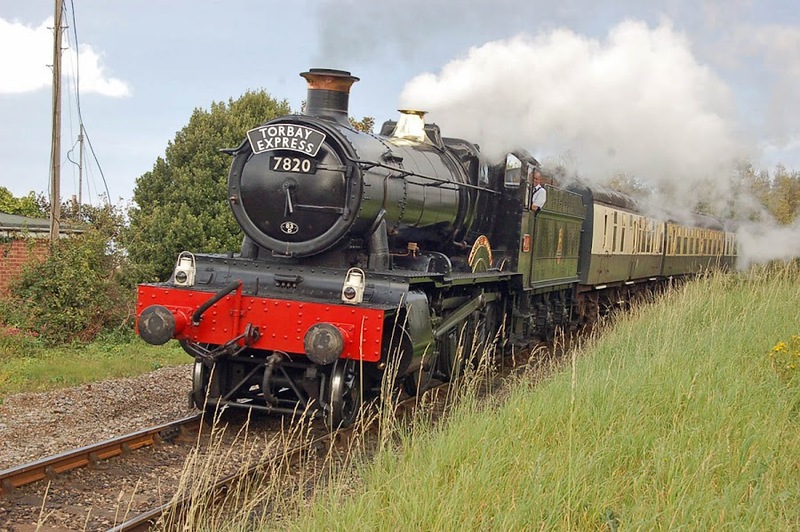 After several moves, it is on the final stages of restoration at the East Lancashire Railway - follow this on Twitter and Facebook. 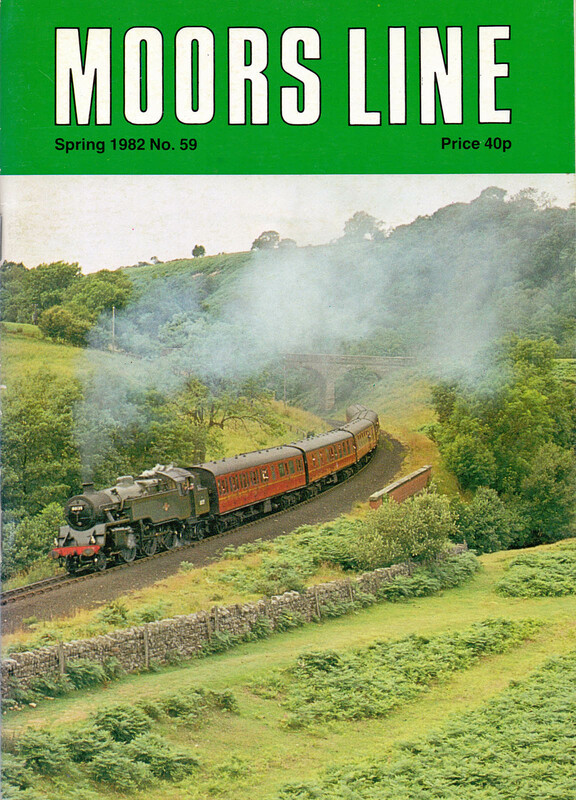 Moors Line 59, as purchased during this visit. I had purchased my first copy of this magazine at WH Smith in York station in 1977, and was always impressed by the editorial standard of Murray Brown, who went on to edit Rail Enthusiast / Rail and then co-founded Rail Express. 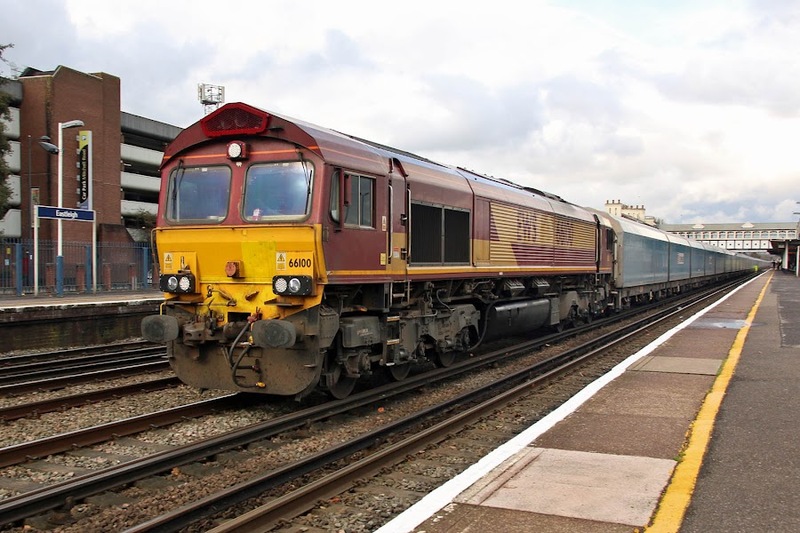 56311 originally 56057 - seen here at Totton in 2014. Recently "tyres very thin, engine worn out with low oil pressure, control cabling stripped out." 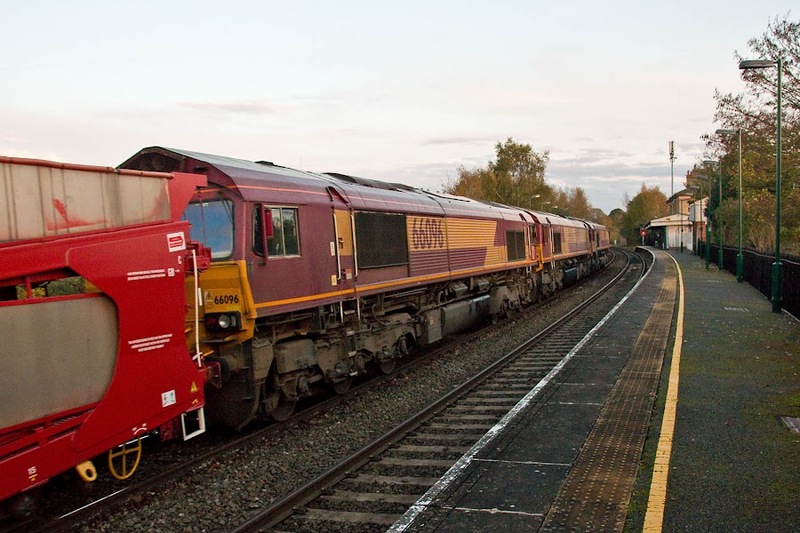 56312 originally 56003 - seen here at Bo'ness in 2013. 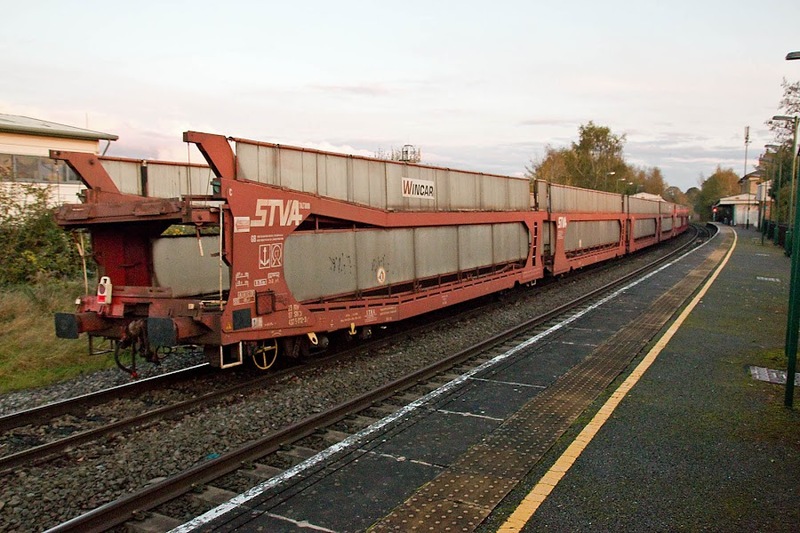 Recently "Requires OTMR overhaul and new batteries. Good loco." As 56003 it was at Booth's in 2004. 6737 (37037) new in May 1962. 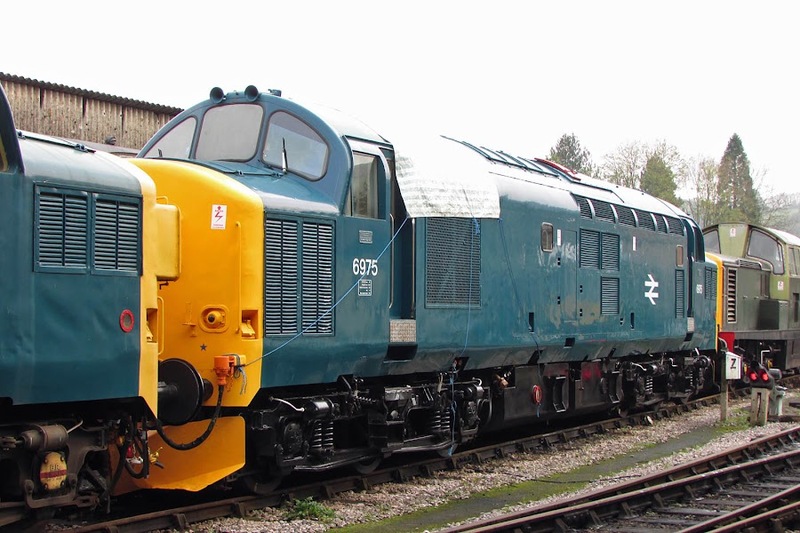 37275 new in April 1965. D7612 (25262, 25901) new in April 1966. 55000 goes back a long way for me, as it was part of the Haymarket dmu fleet in the 1970s. 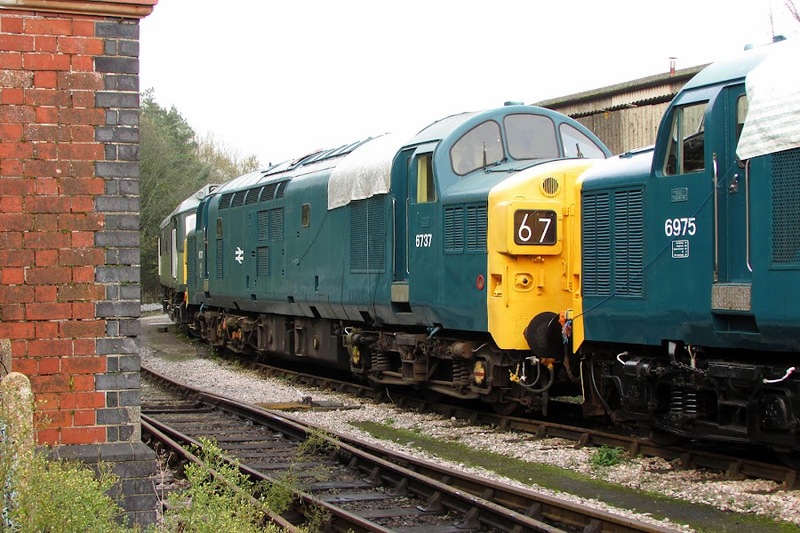 50002 was under a tarpaulin. Many seen here when the Railvac was kept at Totton. 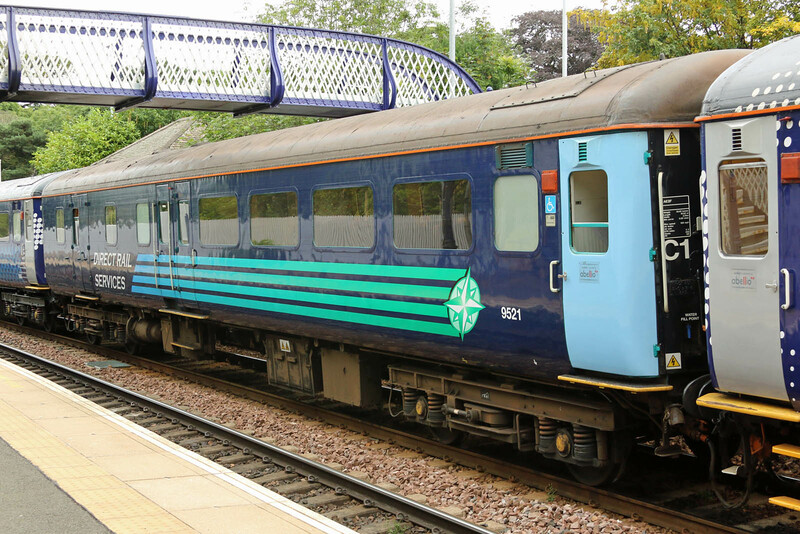 Some of the Class 31s are familiar to us from the Wessex Railways T&T service, when operated by Fragonset. Washwood Heath locomotives must be collected by Tuesday 28th November." Full circumstances and background not yet known. 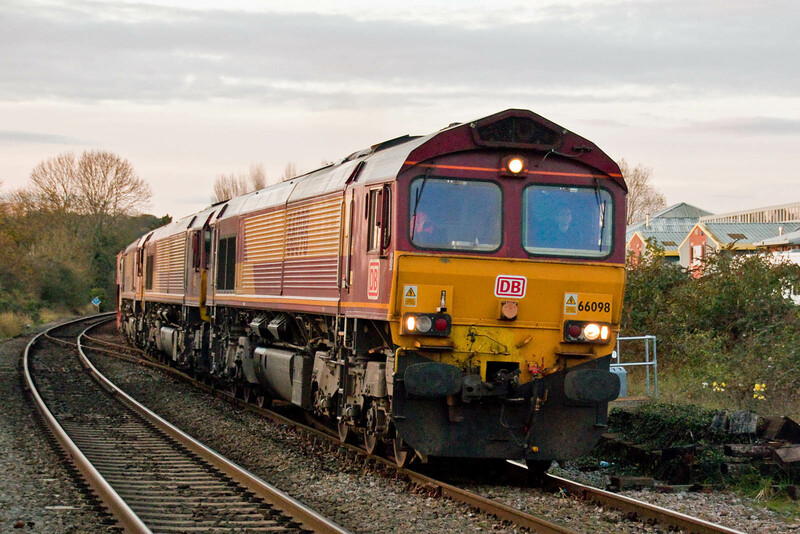 BSO 9521 following repair at Eastleigh Works, 4th November. 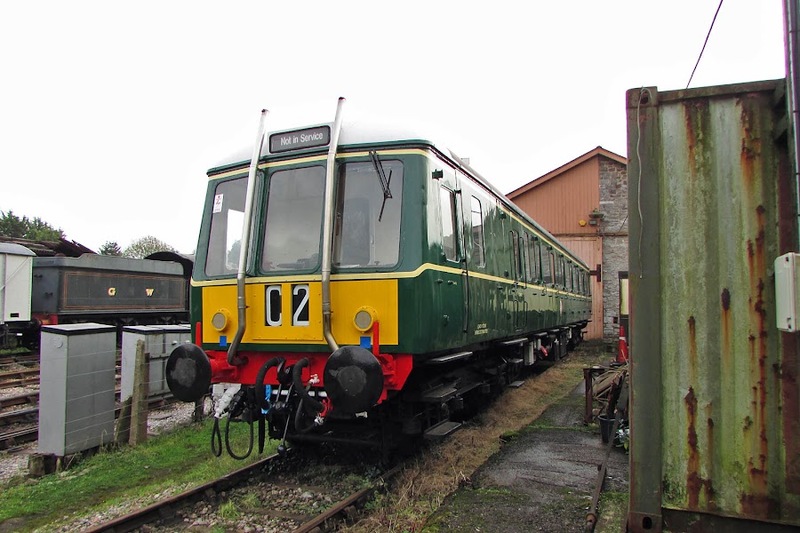 In 2015 this was in Fife Circle service. 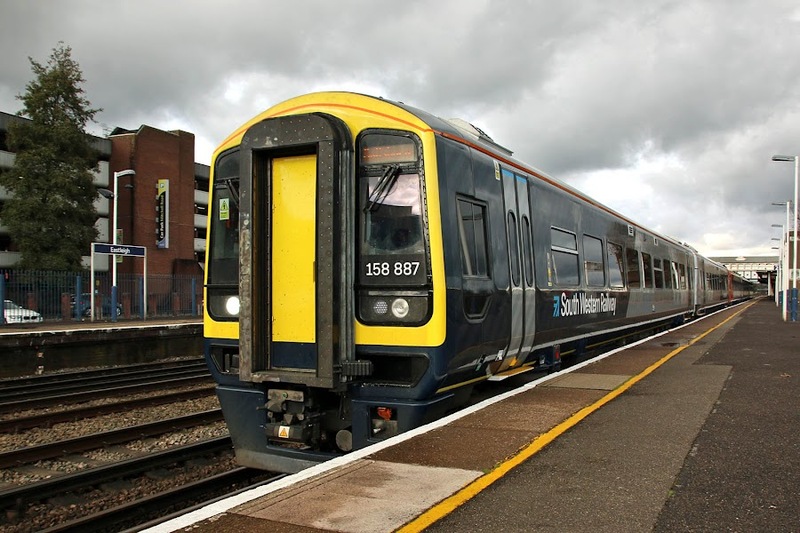 "Work will be undertaken at Eastleigh, with investment being made in local facilities as well as procurement from Axminster Carpets, located on the South Western Railway network." 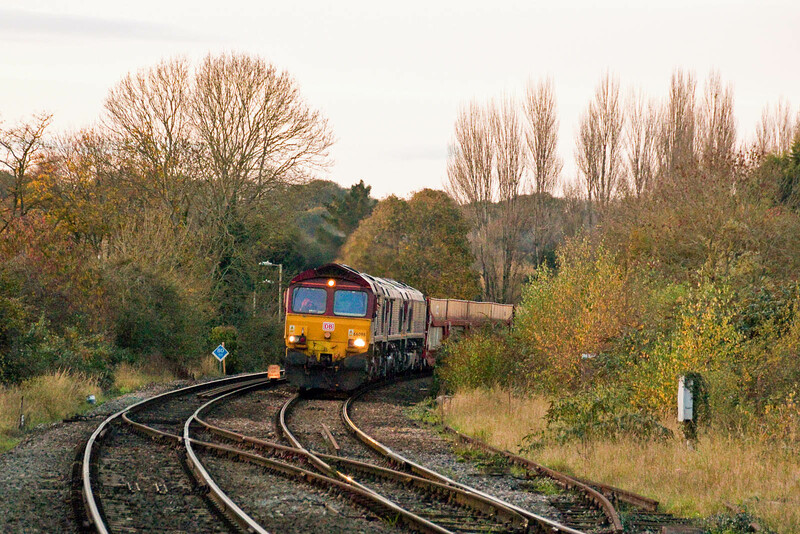 Passing Romsey in low light about 5 minutes before sunset. Approaching Romsey, it seems less leaves on the trees than in preceding years. For some reason the driver is leaning out of the cab at this moment. 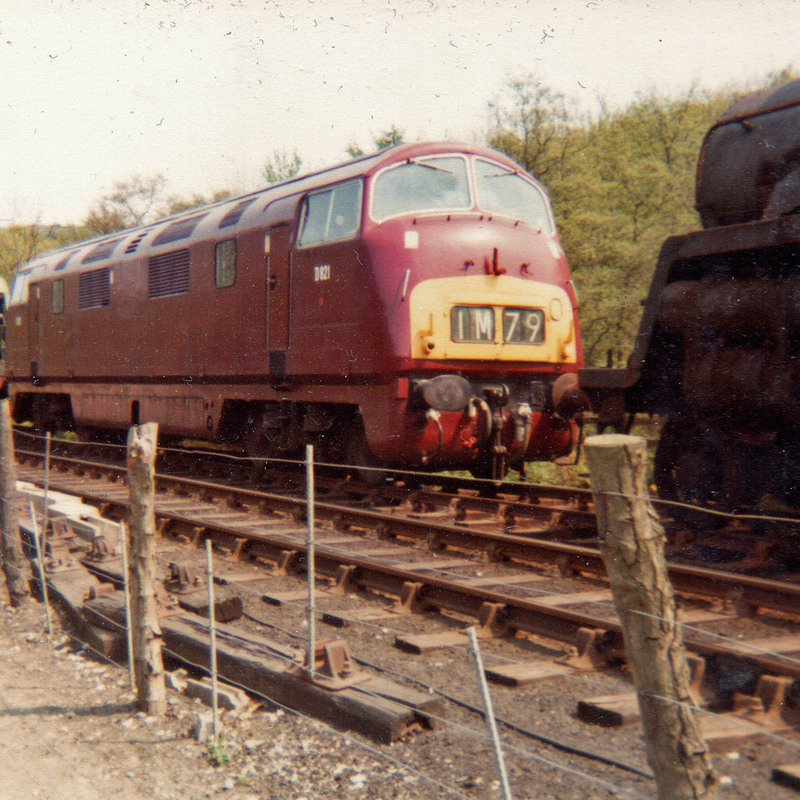 23.87.4375.012-3 on the rear, built by Arbel Fauvet, Douai, France in 1978. Another picture of the working, again after Westbury. 66739 Bluebell Railway at Eastleigh, 4th November (also the following pictures). 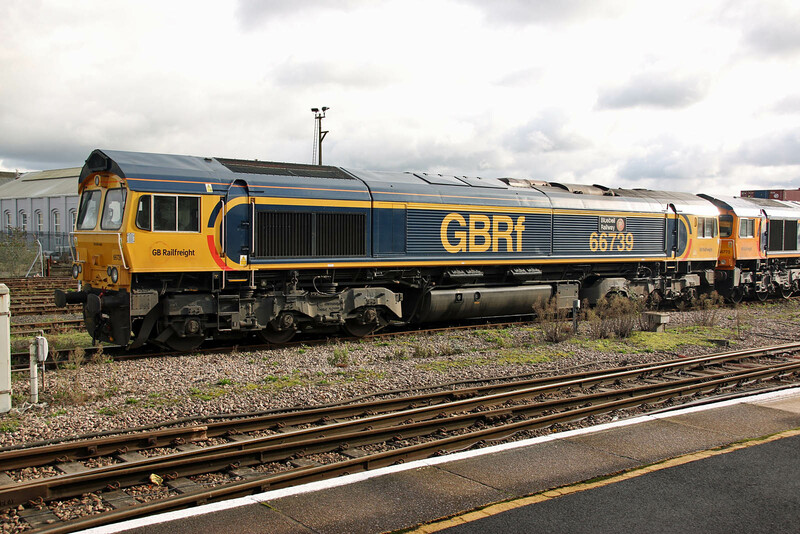 Formerly 66579. 158887 was returned from overhaul in the new SWR colours on 5th October. Paired here with a 159 on an augmented Romsey train, covering football traffic for St Mary's. 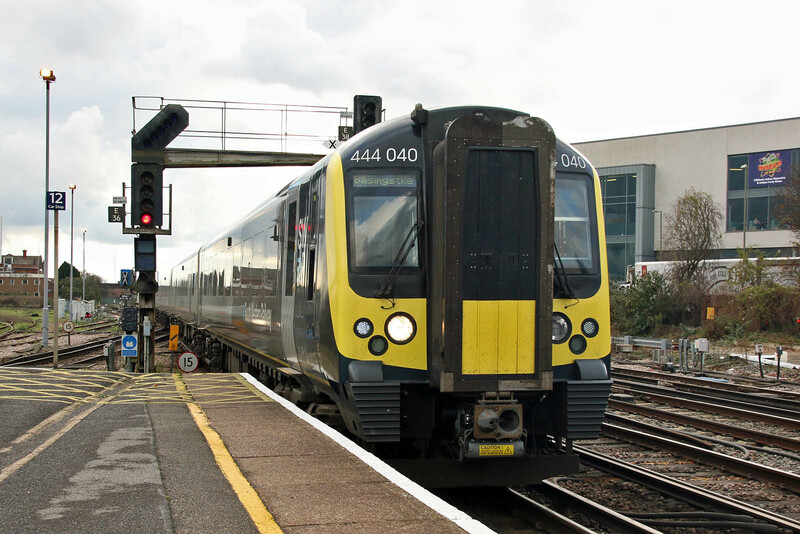 444040 which was the launch unit for the SWR colours. 66100 passes with 4O40 10:44 Morris Cowley - Eastern Docks.